Sonar A.S. is designed for water bodies with minimal flow and offers whole pond or lake treatment. 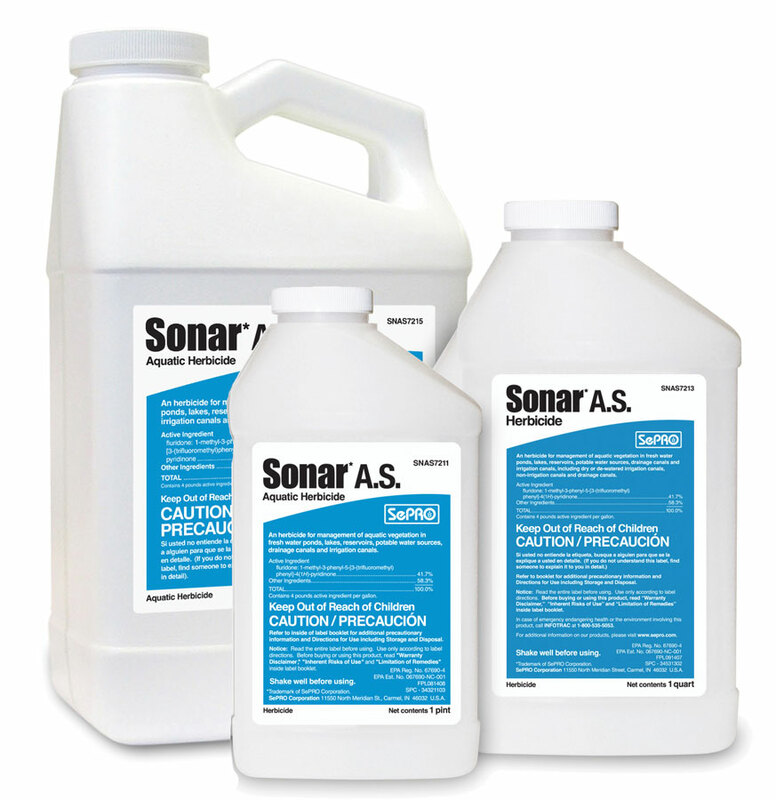 A wide range of aquatic weeds are controlled using Sonar A.S. with exception of algae species. This 41.7% Fluridone product is excellent for whole pond and lake treatments. Sonar A.S is a selective systemic aquatic herbicide for management of aquatic vegetation in fresh water ponds, lakes, reservoirs, drainage and irrigation canals. It is important to maintain the recommended concentration in contact with the target plants for a minimum of 45 days so application early in the season, prior to or just after plant growth begins, is best. Absorbed by the plants and inhibits the weed’s ability to make food, causing it to die. Initial results can be seen in ten days. Complete kill can take 30 to 90 days.